Let's talk about romance catnip, shall we? Here we have a book that is a cross between a second-chance romance and an "un-unrequited" love story and, honestly, this is the most catnip-y idea I've come across. And this book does deliver, on some levels. The basis of Jase having a secret crush on Becca, but also telling himself he's in love with Hannah, while Becca has a secret crush on him and Hannah feels possessive towards him is tantalizing, and McLaughlin sets it up well. I also felt that both Becca and Jase were realistically conflicted about this situation, which is necessary for this to work. I enjoyed the world that McLaughlin creates. This is the third book in a series that I had not read, which made me apprehensive. I'm "that" reader who needs to starts series at the beginning, but this book did a fairly good job of standing alone. There was only one scene, including Jase's friends (whom, I assuming, were subjects of earlier books) that I felt I was missing something--and even that was minor. There were, however, things that bothered me. I found Jase's and Becca's feelings, which were hidden from each other for almost two decades, a little hard to believe. On Jase's side, it worked a little better as it seemed that he had directed his feelings about Becca to Hannah, but Becca came off a bit desperate to me. I also felt that the characters were unrealistically self-aware. By that, they seemed to have an usual awareness of what their feelings were and why they had them. Yes, there are people like that--but those people would never find themselves in Jase and Becca's situation. I also felt that, because these characters were that way, McLaughlin lost out on some interesting story opportunities when she opted to tell instead of show. All in all, though, this was a pleasant book to read. 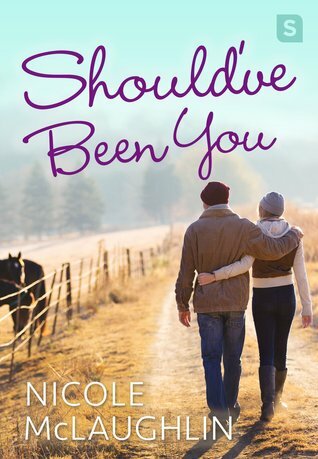 Nicole McLaughlin is a new author to me and I'd welcome the chance to read more of her books.